R&B meets Pop with a whole new vibe and a familiar sound that will make your speakers bump no matter where you are. your car, the club or maybe at home late at night trying to set the mood. At the age of twelve, Devin Ray, also known as D’Ray Sonshine, began writing songs and movie scripts as a hobby. Now at the age of twenty-two, D’Ray is ready to take the lead in the music industry with his unpredictable style and excellent stage presence. 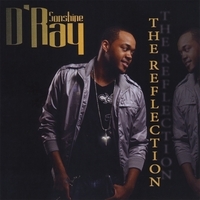 Born to two musically gifted parents, D’Ray’s talents prove to be no coincidence. He uses his eclectic style to showcase his musical background through various genres such as R&B, Hip-Hop and even Pop. With talents that are easily compared to well-known artists Usher and Genuine, D’Ray uses his soulful melodies to incorporate captivating stories through upbeat songs about life and love to mesmerize the audience. As for his aspirations, D’Ray hopes to gain the attention of major labels that will sky rocket his career into the limelight. As an artist, he wants to leave an impression of a man who was a great song writer, performer, and trend setter. This guy is really some fresh great talent!! He's about to take the industry by storm.... just watch! The album: worth every penny!